Whether you are selling your home or looking to buy your perfect home, The Powell Team & I are dedicated to “Helping you make the right move”! Contact us today and let's get started! I started my real estate career in 2000 as a New Home Sales Representative and Office Manager for a local custom/semi-custom builder. During that time, I had the opportunity to work closely with several construction and finishing sub-contractors who were tremendously helpful in my home construction education. After that I accepted a position as Community Sales Manager with a National homebuilder. My new construction experience has proven to be extremely valuable in my real estate career and the knowledge I gained benefits my clients every day. I had a strong desire to work with buyers and sellers as a general brokerage Real Estate Agent, so in 2003 I joined Allen Tate Realtors®, a successful regional real estate firm. I took advantage of the many educational opportunities afforded me and in 2005 I decided it was time to make a move and join RE/MAX, the world's largest and most successful real estate company! I look forward to a long and rewarding real estate career, providing unparalleled service to my clients. For more information about me or The Powell Team, please visit www.ThePowellTeam.com or www.CherylPowell.com, your one-stop sources for real estate information covering Concord, Harrisburg, Kannapolis, Mooresville and the entire Charlotte NC area. I provide professional real estate services for Charlotte NC & the surrounding areas, including: Cabarrus County (Concord, Harrisburg, Kannapolis, Midland, Mt. Pleasant), Iredell County (Mooresville, Statesville, Troutman), Mecklenburg (Charlotte, Cornelius, Davidson, Huntersville, Matthews, Mint Hill), Rowan (China Grove, Kannapolis, Landis, Rockwell, Salisbury), and Union counties as well as the Lake Norman Area. Representing Buyers of Short Sale Properties. Whether you are selling your home or searching for that special place to call your own, my local expertise & real estate experience will benefit you. I pride myself on providing unparalleled service & look forward to developing a long-term relationship with you. Contact Cheryl anytime, to discuss your real estate needs. To get your Personal Home Search Website CONTACT CHERYL TODAY! Click Here...Your Home's Value Get an estimate of your home's current market value & receive a list of recent sales of homes similar to yours, compiled from local county records. ABR, the Accredited Buyer's Representative designation is the benchmark of excellence in buyer representation, awarded to REALTORS who meet specified educational and professional experience criteria. SFR, REALTORS® with the Short Sales and Foreclosures Resource/SFR certification can be a trusted resource when buying or selling short sale and foreclosure properties. Attended - Mingle School of Real Estate Salesperson Course and RCCC Broker Course. Team Leader - The Powell Team has the experience, knowledge and dedication that it takes to get the best results. Custom and national homebuilder employment experience - Put my knowledge of new home sales, home design, and the construction process to work for you. 20+ years sales and marketing experience - I have the skills to sell your property quickly for top dollar. "Working with Cheryl is a dream. Her customers are always well informed and ready. She lets the on site agent do her job without butting in unless it is necessary. I love working with Cheryl. We did a deal together some months back and everybody was excited about the way everything was handled. The buyer, the seller, the buyer agent, the seller agent. Awesome." 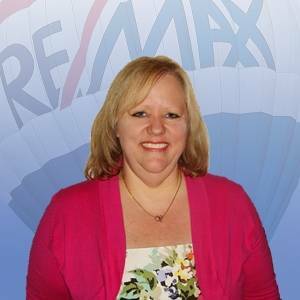 "Cheryl is very personable and knowledgeable of the real estate market. She is easy and comfortable to be around. She made herself available to us when we had questions or concerns. I feel she is a strong negotiator and served us very well with our home search and buying our home!" "Cheryl is the most amazing agent to work with! Since I have worked with her I have recommended her every single time when a friend of mine mentioned plans to buy a house. Cheryl is kind and understands her customers needs. Not many agents care about the purchaser actually being happy and Cheryl makes sure her clients are. She went above and beyond for me so that I could move into my house on the day planned, traveling more in one day than anyone could expect from her, just to get my paperwork filed. She was always patient and honest when she felt a house didn't fit my lifestyle and I truly love the decision I have made. Cheryl is more than an agent, she is the person you can trust throughout the process - a true partner. I would recommend her any day!" "Cheryl is wonderful. She is very patient and helpful. She knows the area well and will even make restaurant recommendations! If you have a question about a property she will try to get an answer for you asap." "If you want a realtor that will listen to your needs and go and find the perfect house for you ,give her a call. She helped me find our family the perfect house. If you need to sell your house look no further for someone that will market your house to get it sold. Always goes above and beyond the expected." "Cheryl is the best. We have bought a house with her and she has sold one for us and on both occasions she was top notch. Her knowledge in real estate is unbelievable. When we were buying she always sent us comparisons to the property we were looking at and always had our best interest at heart. She will always be our realtor, we were so pleased we recommended her to our son who also bought through her." "Dear Cheryl: We cannot begin to tell you how much we appreciated the effort you put in to finding us the right home and making sure things go as smoothly as possible. You were there for us every step of the way; in person, by email and phone, keeping us totally informed. You showed extraordinary professionalism and we could not have had better support. Your attention to detail is remarkable and that saved us a lot of money. You went out of your way (above and beyond call of duty) to help us out during tough situations and we truly appreciate everything you did for us. Being first time buyers we did not know what to watch out for but you were there making sure we avoid pitfalls. You were there during showroom appointments, final walk through, inspection etc. pointing out things we should we aware of. You escalated issues and made sure they were resolved. You made us feel like we were working with a friend and not just a realtor. It is obvious that you truly strive for client satisfaction and not in it just for the paycheck. I will blindly recommend you to my colleagues and friends looking to buy or sell a house. Thank You Again"
"Cheryl is Great! She´s very passionate and kind. Always available, return calls in a timely manner. She´s the agent that everyone dreams for. She went above and beyond to help me get pre-qualified. In my eyes she´s heaven sent!" "Cheryl is an excellent real estate agent. She is very reliable, thorough and knowledgeable in her field and always looks out for the best interest of her clients. If you in need a real estate agent, you can be confident that Cheryl will work hard for you." "This was my first home buying experience and Cheryl was there for me all the way. We worked together for 7 months to find my house. She was extremely patient and willing to go anywhere I wanted to look. I would and already have recommended her!" "Cheryl Powell Is Exceptional, Professional and gets results... Cheryl delivered an incredible Buying experience. Her professionalism, negotiation skills, and knowledge of the home buying process made the purchase of my dream home a memorable and enjoyable experience. Cheryl defines excellence as a Realtor. She is diligent, consultative and committed to doing what´s right for her clients. I would HIGHLY recommend her to anyone who is looking for a professional who knows Charlotte and the surrounding area." "Cheryl was great through the entire process. From our first phone conversation to the closing on the house, Cheryl was extremely knowledgeable and professional. She has a great enthusiasm for her business! I appreciate her help and guidance through all the steps of buying my first home! Cheryl made it a great experience!" "We love Cheryl and will definitely use her again for our future real estate needs!!! Great experience!!!" "Over the years I have performed many home inspections for Cheryl's buyers and sellers. She is a hard worker, pays attention to the details, and has always been willing to go the extra mile for her clients, to get things done." "Throughout my years of involvement in real estate, I have never met a more professional agent than Cheryl Powell. She treated me in the way that she would want to be treated, with quality service, undivided attention and respect. I would recommend Cheryl to anyone who is looking for a quality oriented professional who is head and shoulders above the crowd." "If a new house came on the market we knew about it ASAP! She told us everything you could possibly think of about the house/neighborhood. We were very pleased with Cheryl and as long as she´s doing real estate, she is who we will use!" "Cheryl is easy to work with and has wonderful ideas for selling a home. I loved the visual tour she made. She is friendly and enthusiastic."